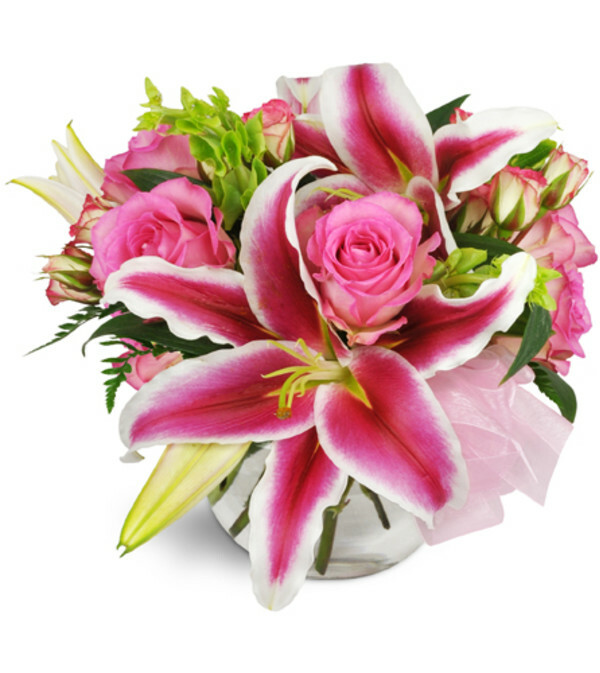 This stunning symphony of pink blooms is absolutely gorgeous, just like she is! Whether it's for your sweetheart or a new baby girl, our You Are Beautiful Bouquet™ conveys your love sweetly with dramatic flair. 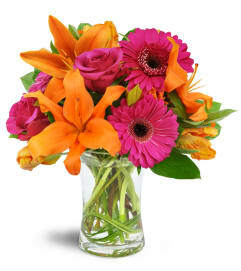 Bright pink stargazer lilies and pink roses dazzle in a stylish round glass vase. This isn't your everyday bouquet! 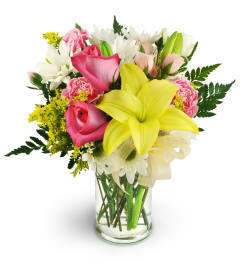 Pink stargazer lilies and pink roses are enhanced with tender green bells of Ireland, arranged in a clear round glass vase.